Most people realize that the housing market is hottest from April through June. The most serious buyers are well aware of this and, for that reason, come out in early spring in order to beat the heavy competition. These buyers are ready, willing and able to buy…and are in the market right now! Housing supply always grows from the spring through the early summer. The choices buyers have will continue to increase over the next few months. Don’t wait until all the other potential sellers in your market put their homes up for sale. 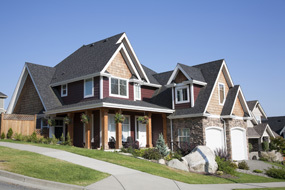 If you are moving up to a larger, more expensive home, consider doing it now. Prices are projected to appreciate by over 19% from now to 2018. If you are moving to a higher priced home, it will wind-up costing you more in raw dollars (both in down payment and mortgage payment) if you wait. You can also lock-in your 30 year housing expense with an interest rate at about 4.5% right now. Rates are projected to be well over 5% by this time next year. You already know the answers to the questions we just asked. You have the power to take back control of the situation by pricing your home to guarantee it sells. The time has come for you and your family to move on and start living the life you desire.